Garner Volunteer Fire and Rescue, Inc.'s (GVFR) Citizens Fire Academy is designed to increase the community’s understanding and awareness of fire and rescue services in Garner and the surrounding area. The academy, offered at no cost to interested residents, is structured to include six night courses from 6:30-8:30 p.m., one ride-along event and one Saturday class that will be conducted at the Wake County Fire Training Center. A graduation ceremony will be held at the culmination of the academy. During the academy, citizens will be exposed to diverse aspects of fire and rescue services as well as the day-to-day operations of GVFR. Some topics and activities that participants will experience include: station tours, history of the fire service and the life of a firefighter, fire prevention, fire suppression and much more. 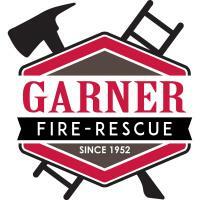 Anyone age 18 or older who resides in the Garner fire district, completes the necessary application and is approved by the selection committee. Or complete and return this application.